Every bride wants their mom and sister to plan their wedding, right? Well, maybe not, but the Cyrus family isn’t your ordinary family. 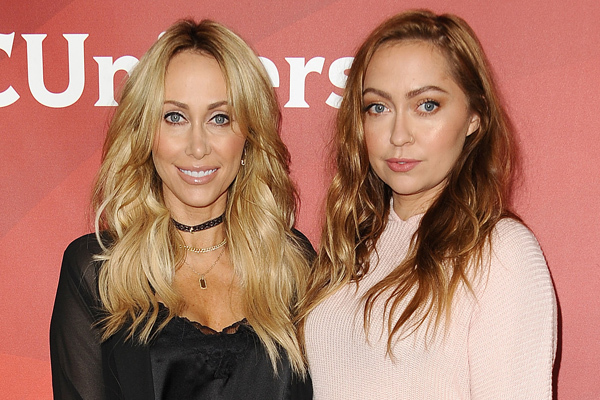 In fact, Tish and Brandi Cyrus are all about planning Miley’s wedding to Liam Hemsworth. While not everyone’s family should plan their big day, both Tish and Brandi are interior designers, so style is in their blood. During a new interview promoting the Cyrus ladies’ new Bravo series, Cyrus vs. Cyrus: Design and Conquer, Miley’s wedding obviously came up. Cyrus vs. Cyrus will be all about going head-to-head to work on home makeovers, but when it comes to the “Wrecking Ball” singer’s big day, everyone will be on the same team. She said she’s working on Miley’s wedding, no? As in, in the present moment? The reality show duo also talked about the rumors that Miley had already married Hemsworth. This, of course, lead to a LOT of people thinking that the two lovebirds had tied the knot. According to the two ladies, that is definitely not the case. “I was like ‘in that top? !’ What are you, crazy? !” Brandi said in regards to the marriage rumors. “If Miley was getting married, it would not be in that dress!” Tish agreed. “She would have had some fabulous wedding dress, not just the frilly top she was wearing in a photo,” big sister Brandi added. Clearly, the wedding bells aren’t ringing right now. But, when the day does come, it will be beautiful…especially with these two stylish ladies helping out.